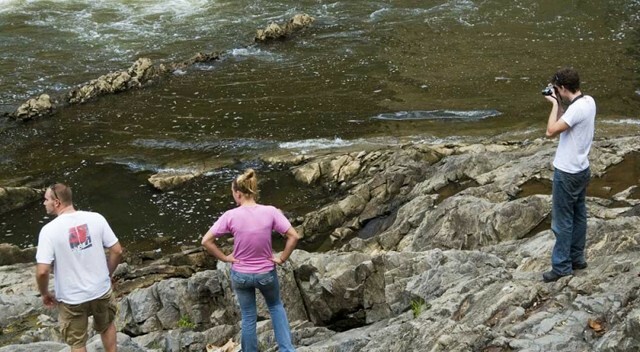 One of the fields of study offered here at Radford University is geology, the study of the Earth. This major tends to be boiled down to just looking at rocks, and while that is part of what geologists do, there is so much more to it. By just looking at rocks, they can learn what the environment used to be like in a specific area, if there are any dangerous activities going on, and they can find out how suitable the land is for any number of uses, such as construction. Geologists do many things and provide a great many services to society, not all of which will be mentioned in this article as there’s too many to list. Geology isn’t an outdated field and geologist isn’t an outdated profession; these people provide a great deal to the world. For an example with some real world impacts, take the events at Yosemite Park several years ago. The park had built a visitor’s center on top of a cliff, and down below it were some camping grounds and hiking trails. The grounds had to deal with frequent falling rocks that injured and killed people. However, nothing was being done about it because no one knew why rocks were falling from the cliff face. A graduate student and a professor here at Radford University went to the park to investigate. They found that the visitor’s center was pumping its waste water into the rocks beneath it and this was causing an erosion of the cliff face and a loosening of the rocks. Because the graduate student and the professor discovered this and reported it, people became aware of the danger and they were able to avoid that area of the park. These geologists helped save more people from becoming injured or killed. Geology is a big field with lots of different branches that many people can and do go into. Geologists have a profound effect on the world, and many do their job without much thanks. Geology is an important field and we would have a lot of serious problems without it.